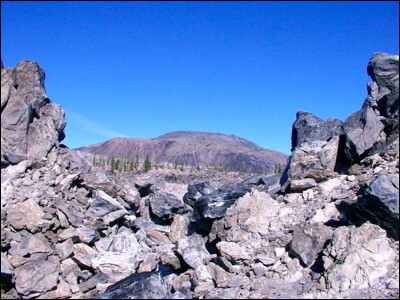 Here are images of Glass Mountain in northeast California, part of the Medicine Lake Volcano. For 10,000 years this was the main source of obsidian for points and knives for the Modoc people. It was such high quality that it was traded throughout the West, and beyond. It is still mined for making surgical scalpels. An obsidian blade is sharp enough to cut between cells, speeding up healing after surgery. These photos were taken during several treks to Glass Mountain, from 2005 to 2018.